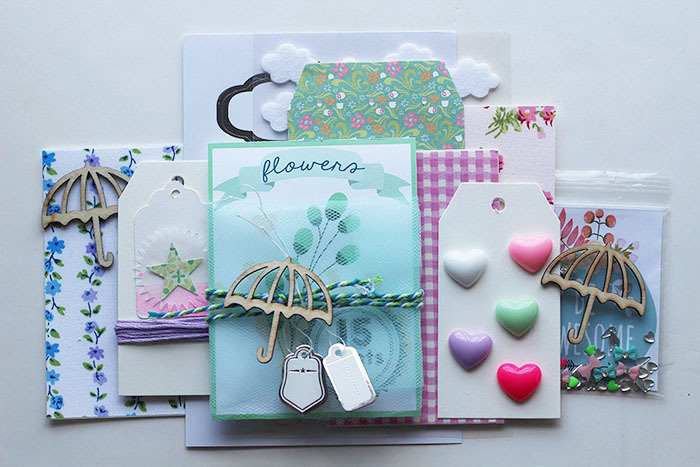 It's *Things That Shine Thursday*, and today I have another limited edition, unique scrapbook embellishment kit listed on Etsy. 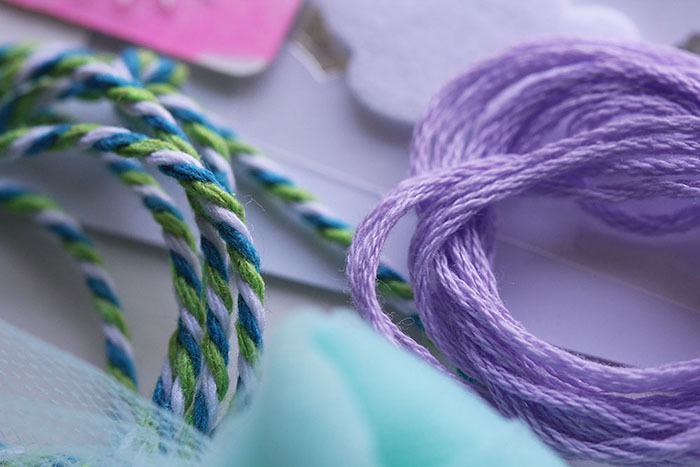 Happy and hopeful, this kit is perfect for everything spring. 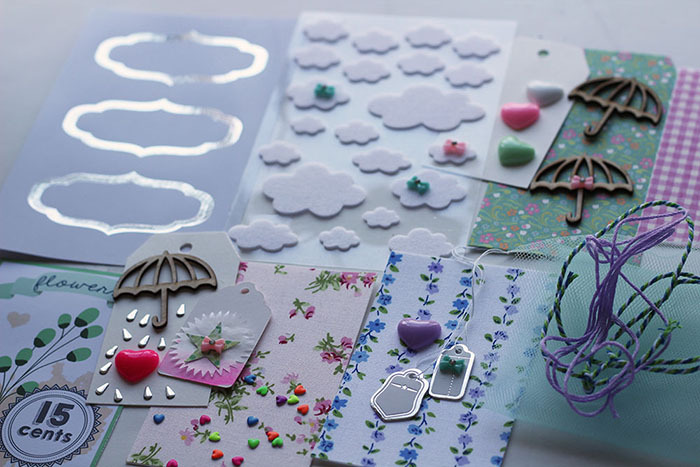 April showers scrapbook embellishment kit contains white cotton clouds, umbrellas of wood, silver raindrops, adhesive fabric, foil tags, puffy hearts and other happy things. 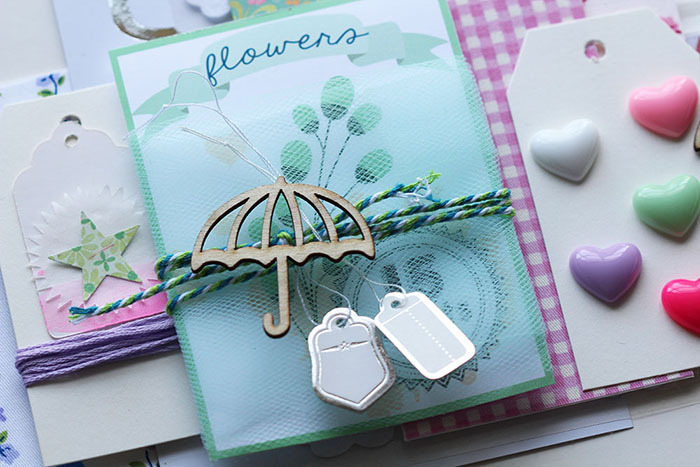 Use it to remember Easter, and weddings, sunny days and rainy days, first flowers or other nice moments. 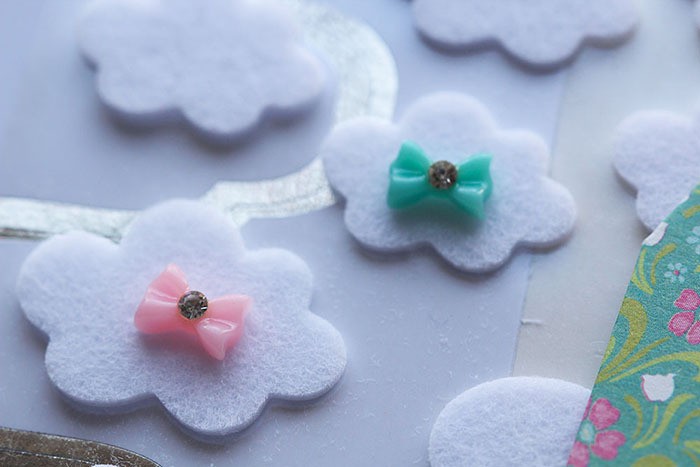 I seriously love these little acrylic bow charms with the teeny tiny rhinestone center. And on top of those white felt clouds? Oh my. Too cute. I know there are a lot of you out there that love purple... and I thought of you when I made this kit. This tiny touch of light purple reminds me of lilacs and spring weddings. 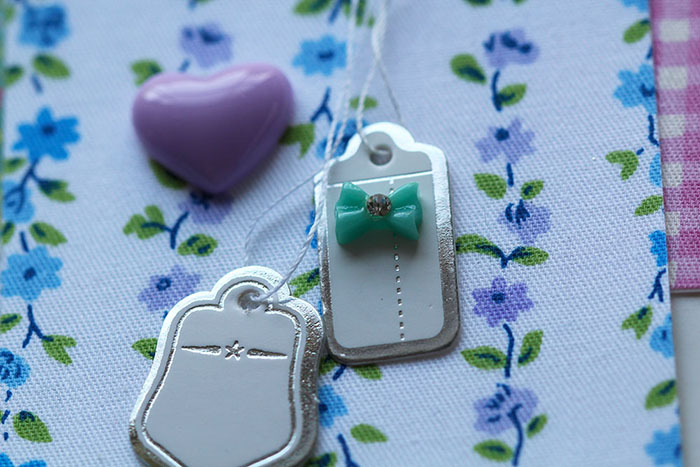 By the way... this floral fabric is adhesive-backed! Cut it into shapes or use it as one piece. Love the texture fabric adds to a layout! 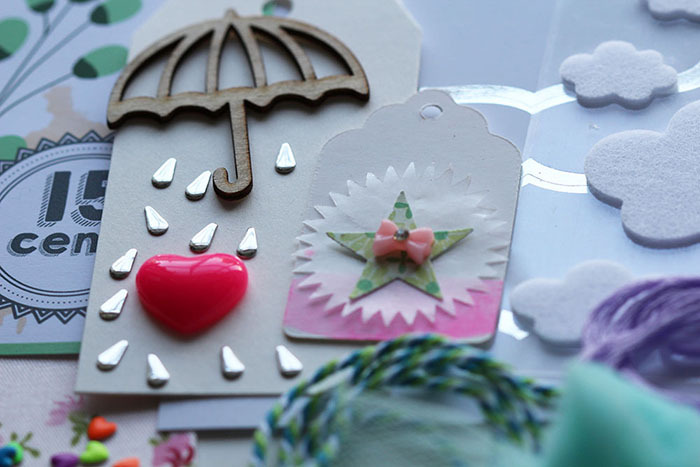 To see more scrapbook embellishment kits and other pretty bits, visit my Etsy store, Ashley Calder & the Things That Shine.